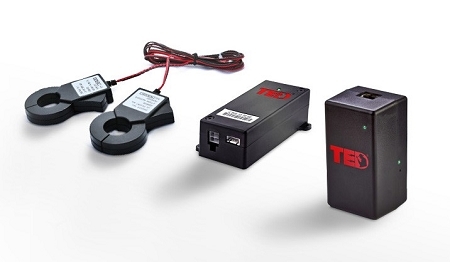 Our most basic TED electricity monitor provides all the components necessary to monitor and view electricity usage using a computer. The TED 5000-G package includes one set of clamps and measuring unit for the breaker panel installation, along with one Gateway embedded with Footprints data-logging software. TED uses Power Line Communication (PLC) to transmit data between the electrical panel and Gateway. PLC can be affected by noise on the powerline caused by switching power supplies (electronics, computers, dimmers, fluorescent lights).